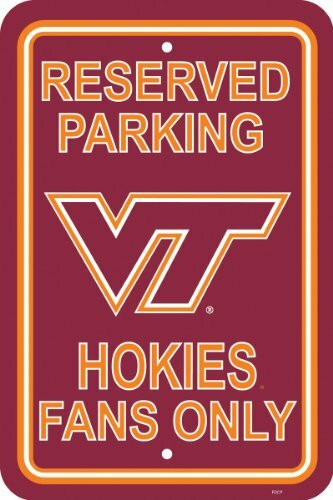 Show your team spirit proudly with this 12 by 18 inch Parking Sign. Each parking sign is made of durable styrene. The officially licensed parking sign is decorated in the team colors, great for decorating home, office or dorm.